Radical bookstore coffeehouse to move to expanded location later this summer. 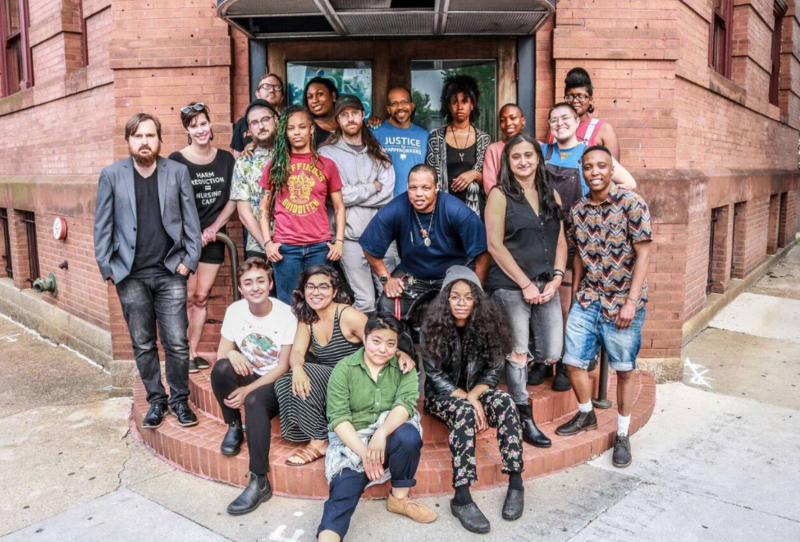 After five years as one of the anchors in the burgeoning Station North Arts and Entertainment District, Red Emma’s—Baltimore’s favorite worker-owned bookstore, café, restaurant, and event space—is moving back to Mount Vernon. Kate Khatib, a Red Emma’s co-founder, said the bookstore coffeehouse hopes to open in the former home of Spike & Charlie’s at Preston and Cathedral streets by early September. The new location is essentially seven blocks south on Maryland Avenue and the protected bike lane there. It allow Red Emma’s to double the size of its bookstore (to 1,500 titles) and offer a seated dining option (small plate-based options) while still providing a versatile space for its readings, film screenings, panel discussions, and spoken word performances. The new venue, with two floors and a street-level bar, will offer Red Emma’s an opportunity to grow its restaurant while also enabling the coffee and bookstore to return to the cozy basement-level vibe of its original Mt. Vernon home on St. Paul Street. At their current North Avenue address, having the coffee shop, bookstore, dining area and event space all in one large open area proved challenging at times. Other changes include doubling the size of the bookstore, offering a seated dinner option, featured a dedicated gluten-free fryer, adding a full bar, and offering 10 more worker-owner track jobs, bring the Red Emma's staff to a total of 35. Owners also said they want to strengthen their "commitment to creating and sustaining an inclusive gathering place with regular pay-what-you-want-nights and family-style dinners." For the immediate future, Red Emma’s will be open at its current location, Wednesdays through Sundays, through the end of June. They will closed for moving in July and August before opening in their new location.